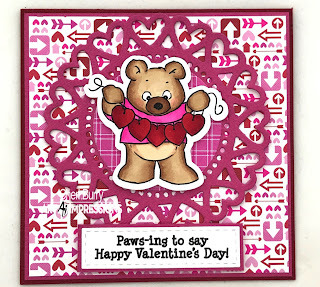 Thanks for stopping by today to see a couple of cards I made using the "Valentine Bears" set from Art Impressions! 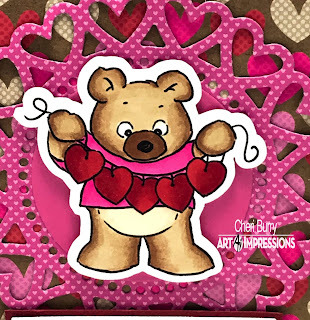 I just can't get enough of these adorable bears!! 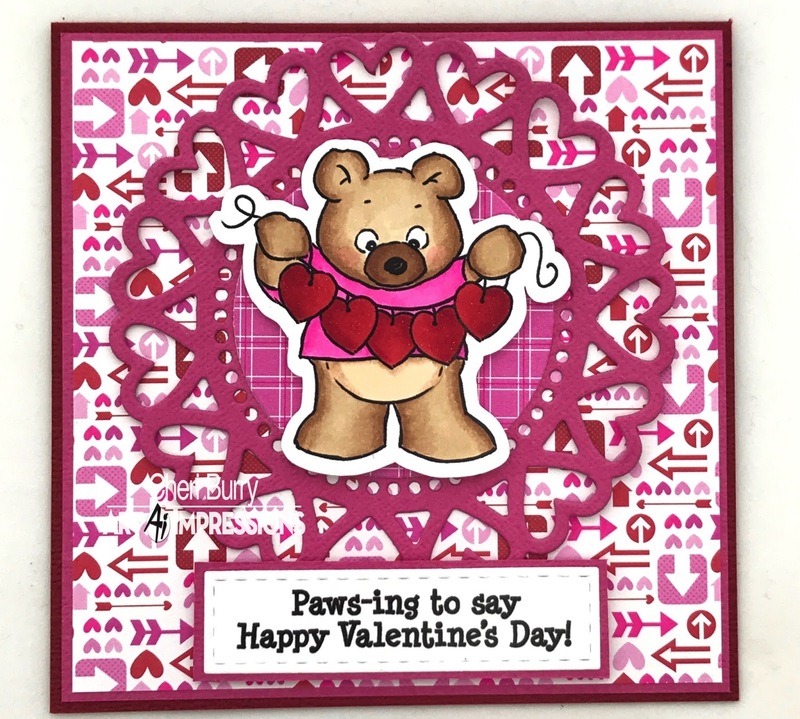 I am using some papers from an older Doodlebug collection called "Sweetheart". I am trying to use up some of my papers I've been hoarding in my stash as part of my New Years Resolution. It's hard to see in the pics but the hearts have Wink of Stella Glitter Pen added to them for a bit of sparkle! 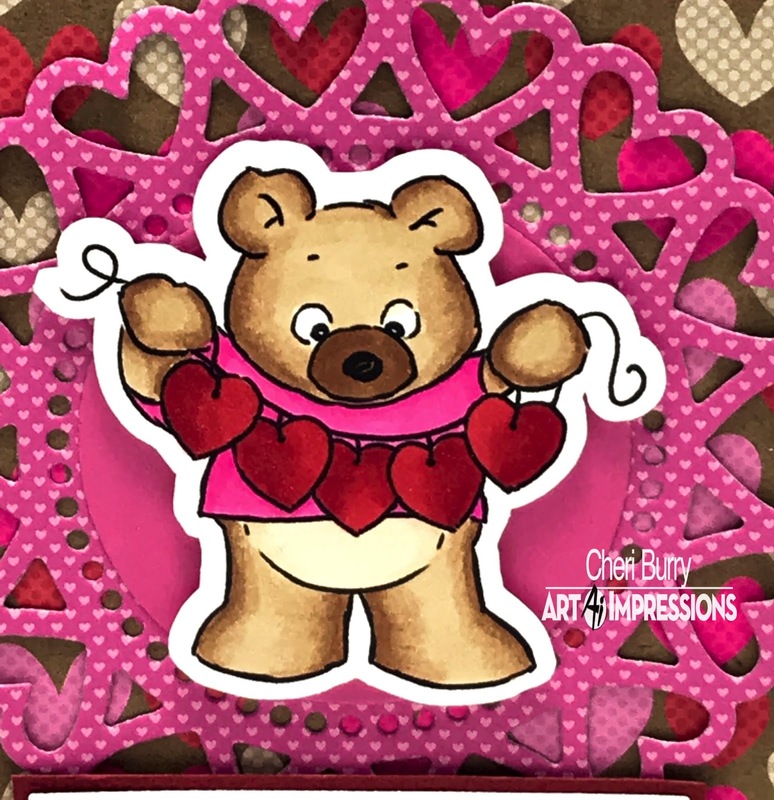 I love that this set comes with 3 different Bears, 8 sentiments and 2 other little images you can accessorize with. I made these cards a bit smaller than I usually do. 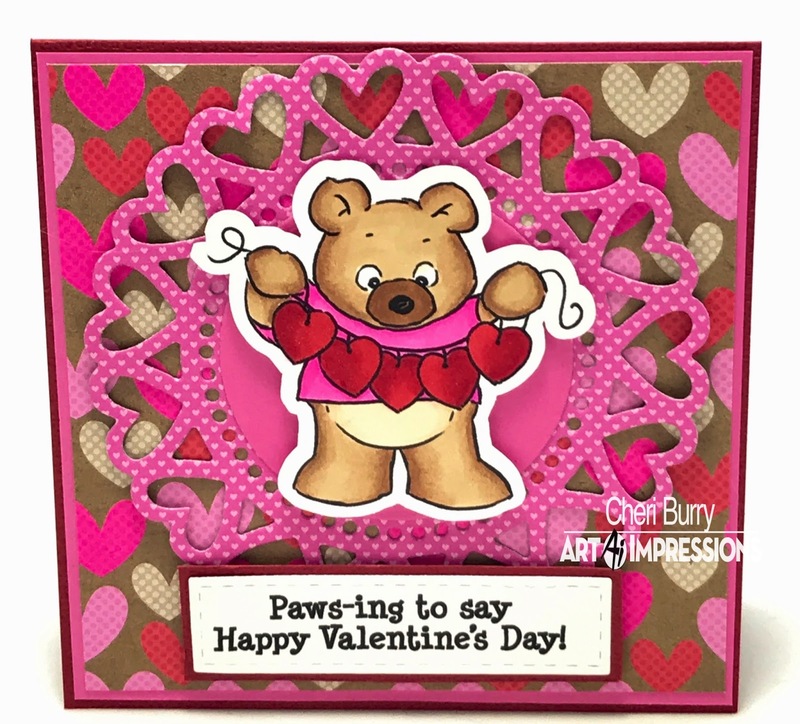 They are both 4"x4" and showcase the cute bears perfectly! 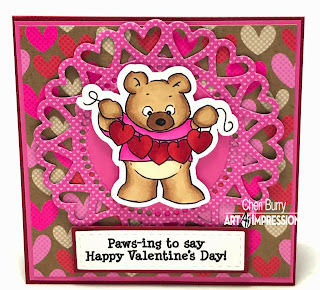 Love the play on words with this sentiment! Too cute, loving that heart circle.